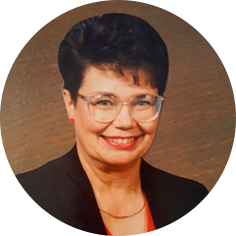 Karen Elaine Williams passed away peacefully on Thursday, August 23, 2018 at Providence Place in Moose Jaw at the age of 76 years. She was predeceased by her parents Ted and Eleanor Culbert and brother Dennis Culbert. Karen will be lovingly remembered by Art, her husband of 57 years, daughters, Rhonda (Lyle Pyett), Kim McCrystal and Jayme Williams (James Chepyha), sister, Marilyn (Jim Sorenson), sisters-in-law, Eunice (Bob Sambrook) and Lois Culbert, grandchildren, Logan, Paige (Nolan), Shaunna (Rick), Chris, Amber, Janell and Daniel, great grandson, Kaleb. The family would like to extend a special thank you to the staff at Providence Place and Coteau Range Manor in Avonlea, Sk for the exceptional care she received over the past six years. A Celebration of Karen’s life will be held on Tuesday, September 4th, 2018 from 5:00 to 8:00 p.m. at the Masonic Hall in Milestone. Flowers are graciously declined. Donations can be made in memory of Karen to the Milestone Community Swimming Pool or the Milestone Memorial Rink c/0 The Milestone Town Office, 105 Main Street, Milestone SK. S0G 3L0.